If you're serious about fitness you probably take both your phone (and headphones) and also a heart rate monitor or activity tracker with you when out jogging. What if you could get a product that combined both those things, but did so far accurately than any other gadget? 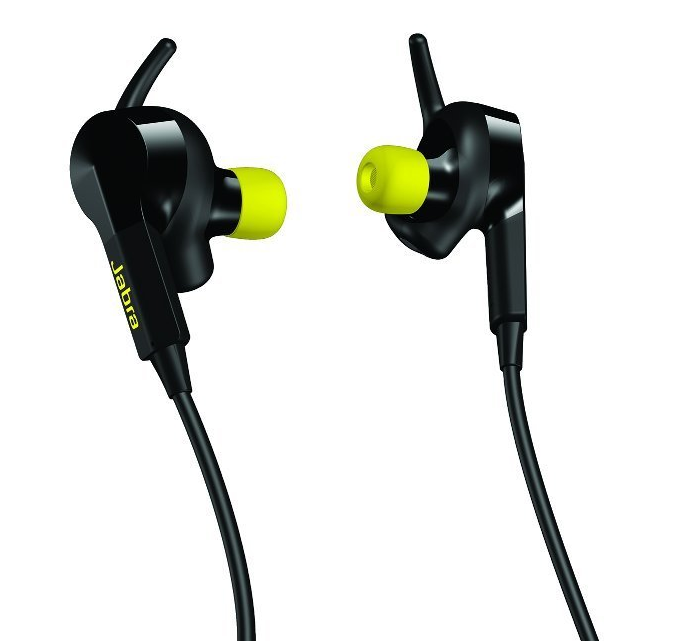 That's just what the Jabra Sport Pulse Wireless Headphones can do, being earbud headphones that also monitor your heart rate. The Jabra Sport Pulse Wireless Headphones are in-ear headphones that use Bluetooth to wirelessly connect to your phone or media player. They've been designed in such a way as to make sure they stay in your lug-holes... no matter what. Seriously, these things will not budge, even if you shake your head about like a lunatic. Fortunately they are comfortable as well as secure, and Jabra throw in a few extra sets of soft buds to make sure the Pulse fit your ears properly. 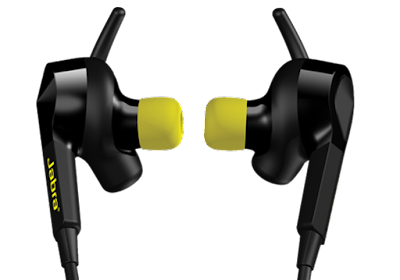 The Dolby digital sound makes them perform very well, and once they are wedge in there they can create very subtle and immersive sound. We wouldn't say they kept out all surrounding ambient noise, but when you're wearing these near busy roads that can only be a good thing. 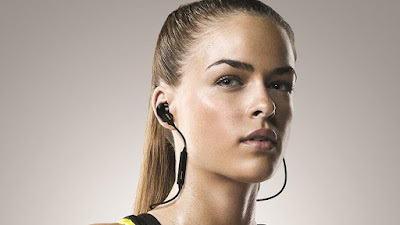 Connecting via Bluetooth is a doddle, and as the headphones are designed for sport (and so therefore your phone will be very close to them), we never experienced any drop-out of connection or interference. Increase the distance to the maximum range of ten metres (like most Bluetooth 4.0 devices) and you'll start to lose it. But, as we said, these are extremely capable wireless headphones that produce excellent quality sound. But what's the deal about the heart rate monitoring? Well, quite unlike other Bluetooth sports earphones, the Jabra Sport Pulse Wireless Headphones can track your pulse from your ear, which is apparently a far better place to do it than your wrist. Data is collected and sent to the connected Jabra app, where info is laid out in a very user-friendly format. 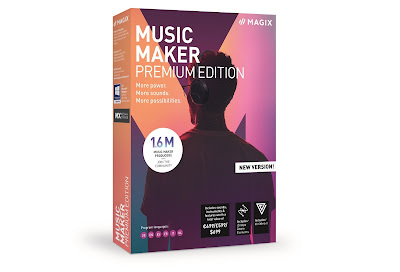 This is where the music playing elements of the headphones take a bit of a back seat, as these are phenomenal at acquiring accurate heart rate data. The app allows you to set goals, and also receive info about the state of your ticker, with vocal commands being issued right there in your ear. It felt very natural to use a fitness tracker like this; one that is – almost – inside of your body and therefore gathering far better data. The vocal info occasionally butting in over the playing track was also very helpful and not at all jarring. If you're trying hard to improve your fitness, this way of doing it is great – no more pulling out your phone or checking your activity tracker mid run. 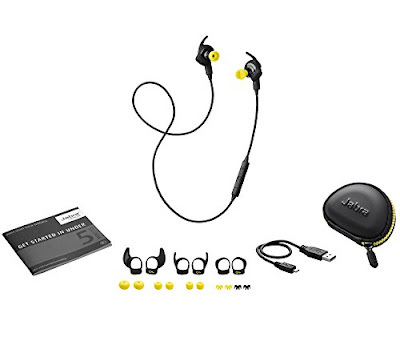 Great sounds, great looks, and a truly innovative heart rate monitoring system, the Jabra Sport Pulse Wireless Headphones might be pricey but for those of us currently pushing ourselves on a fitness regime, they are spot on.